We conduct plan reviews and provide code advice from the schematic design phase through finalization of construction documents. During the preliminary phase, our code compliance experts analyze the design and prepare a detailed report identifying relevant code provisions and possible compliance issues. We will suggest modifications and solutions prior to plan submittal with a goal to limit critical building department issued corrections. Burnham’s code consultants will also attend meetings with municipal code officials to resolve code issues. Once the municipal building department provides comments and requests corrections, our team will conduct an evaluation to determine the most effective resolution. A list of suggested responses and drawing modifications will be prepared prior to re-submittal. As part of our proficiency with the different codes relevant to new construction, Burnham has nationally recognized expertise in the federal Americans with Disabilities Act and state and local accessibility codes. 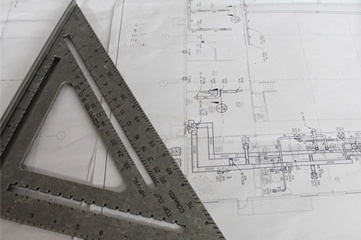 Given that there can be differences between the federal, state, and municipal accessibility requirements, it is important to have an expert in accessible design standards on your project. We also offer egress, life safety, and fire protection evaluations and consultations.